Come sea, sand, storm and salt, you’ll always keep an even keel in sturdy, comfortable Boat Shoe like the Clipper. 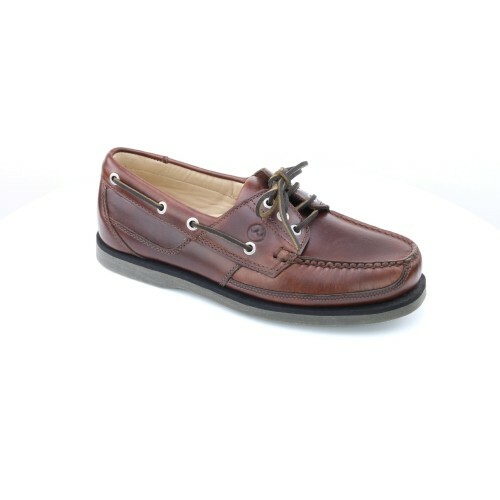 It’s a classic Deck Shoe, an element-proof, hand-stitched moccasin with three eyelets and laced with strong rawhide. Whether convoying the kids to the shops, strolling the prom or dropping anchor at a convenient hostelry, everything’s plain sailing in a our CLIPPER Sailing Shoe in brown leather.